Ten Tips to Keeping Your Succulents alive and happy. 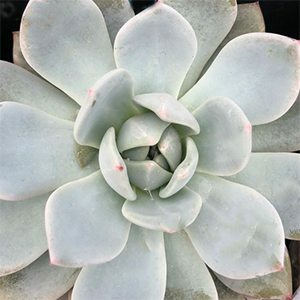 Succulents need a range of conditions, however a few general tips will keep most growing well and prevent problems. Make sure they are planted in a free draining soil or potting mix. This means that when you water them, the soil drains quickly. You can buy a specialist mix, or you can add perlite, crushed rock or other medium to improve the drainage. It is often thought that succulents love hot sun and lots of light. They do like light, however most do not like the extreme heat of direct sunlight. Make sure they are not in a humid climate. Most succulents do not like humidity, they grow in warm dry climates. So give them good ventilation and airflow. Succulents like dry warm conditions, very few like very hot direct sunlight. So Give them some protection from the heat of the afternoon sun. They can actually get sunburnt in very hot direct sunlight. Don’t forget to water them. In nature, they will receive some rain and even a little dew at night. If you are growing them in containers, and especially indoors or under cover, they will need some water.Every week in summer, and once a month in winter is a guide. Indoors, in a heated room, maybe more often. Fertiliser will be needed, however not very much. A general purpose slow release fertiliser once a year as they come out of dormancy is generally enough. Beware of frosts and freezes. Some succulents can handle the cold, others simply do not. 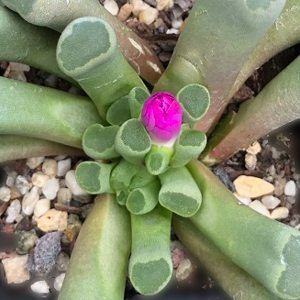 So know your succulents cold tolerance. When propagating succulents by cuttings, make sure you allow the cutting to callus over before planting. Look for pests, mealy bugs are one. So check the leaves for any insect pests. Remember to repot them every 2 years. Even succulents will need repotting, the soil mix tends to collapse over time and retain to much moisture, so repot them. Avoid the temperature extremes indoors. Keep them away from cold drafts, and keep them away from heating ducts. Find full growing notes from our A – Z succulent Index.